Presently more than 50 per cent of the world’s population lives in cities and around 1.8 billion tourists forecast for 2020, traveling both domestically and internationally! Transport is a critical factor in the context of sustainable development due to the pressure it places on the environment, economy, social impacts, and its linkages with other sectors. This sector has been growing continuously in recent years due to the growth in urbanization and people’s lifestyle, this trend will continue in future as well. It forces us to think for making a strategy for sustainable transport a priority at local, national and global levels. An efficient and sustainable mobility system is essential for the health of our economy, the standard of living and environment. Mobility brings a variety of benefits. However, affordable and safe means of transport have to be made available at lower social, environmental and economic cost. Empa, the Swiss Federal Laboratories for applied materials sciences and technology aims to develop solutions for present problems faced by industry and society in areas such as sustainable energy, environment, mobility, health, and safety. It focuses on the practical implementation of new ideas in the areas of nanostructured, smart materials and surfaces, environmental, and sustainable building clean technologies. Empa has teamed up with partners from research, industry and the public sector to show how the mobility of future might work without fossil energy through its mobility demonstrator ‘move’, a new 3D visualization of the entire system conveniently on its website or right on site on a touch screen give insights into the entire system. The ‘move’ provides examples to show the entire pathway of using and converting surplus renewable electricity for mobility – in the form of hydrogen and, in later stages, in the form of synthetic methane and network batteries. 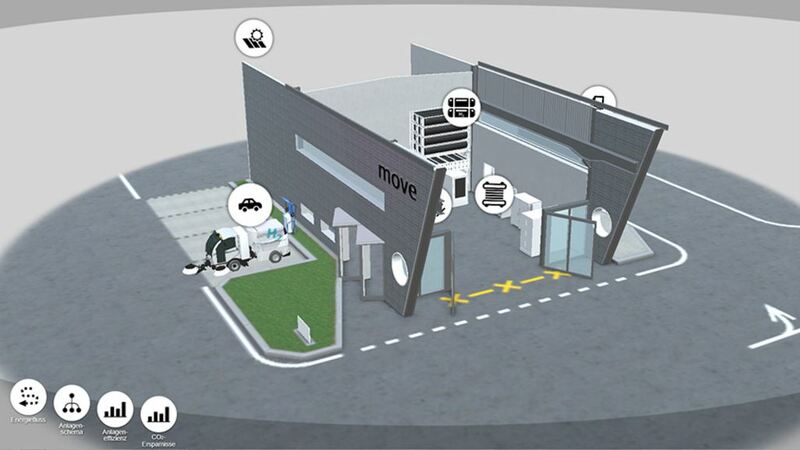 You can virtually experience the hydrogen production for mobility in their ‘move’ website. Its process starts from the solar energy, the solar cells which are placed on the roof to power the system. The electricity is required to directly charge electric vehicles and to produce hydrogen through the electrolysis of water. After being compressed, the hydrogen is stored in large tanks, which feed the fuel pumps on the north side of "move". In the 3D visualization, each of these steps is explained with animated videos, graphs, and detailed data, according to the Empa website. The detailed comparison of three types of mobility, i.e. electric, hydrogen and natural gas/biogas are displayed along with information on all the various project vehicles. 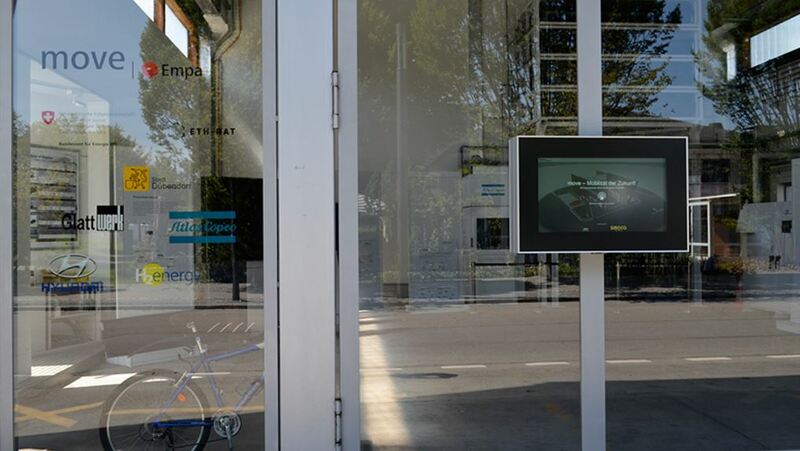 You can also get information on the facility’s efficiency as well as on the CO2 balance of the different powertrain technologies.